This is a musical composition of mine of a piano sonata (three movements) in the style of Mozart who was my favorite composer. Although it was composed many, many years ago, I gave it away in recent times to a dear Chinese friend named John with whom I became well acquainted in China. 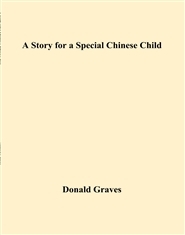 This is a story for a special Chinese child, based on the author's experience of teaching her English for a short period of time The child's name is WangYaJie. This is a story my dad told me when I was a child growing up. 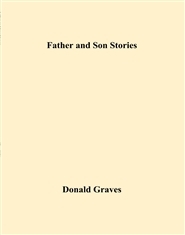 I honor my dad by capturing this story of his in written form here. 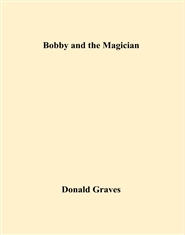 In the story, Bobby goes with his elderly friend the magician in an old car up to the mountain. There they make a black crow become a magic crow. An interesting adventure ensues with Bobby, the magician and the magic crow. Chandler is a little hamster, originally white who gets turned into a black furred hamster. 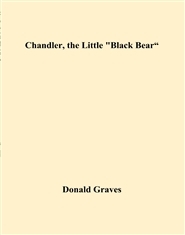 He becomes a black bear hamster who has adventures with two different caretakers. He tells you about his life in this story. 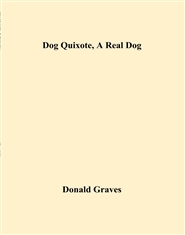 Dog Quixote is a real dog, filled with vim, vigor and lots of energy. And he has lots of adventures. A fun-filled story. 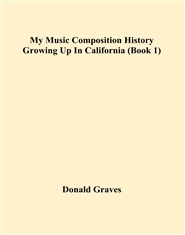 This is book 1 of 10 of the author's music compositions during his growing up years in California. 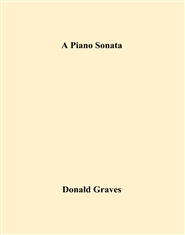 This is book 10 of 10 of the author's music compositions during his growing up years in California. This is book 2 of 10 of the author's music compositions during his growing up years in California. This is book 3 of 10 of the author's music compositions during his growing up years in California.